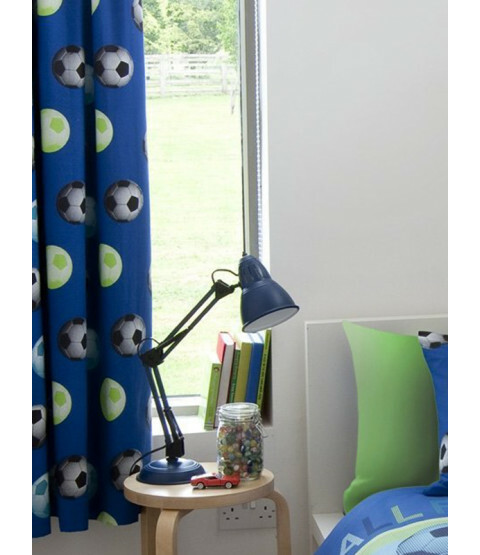 Football fans will love these Catherine Lansfield Football Curtains! The design features a collection of blue, green and black footballs in a repeat pattern on a dark blue background. 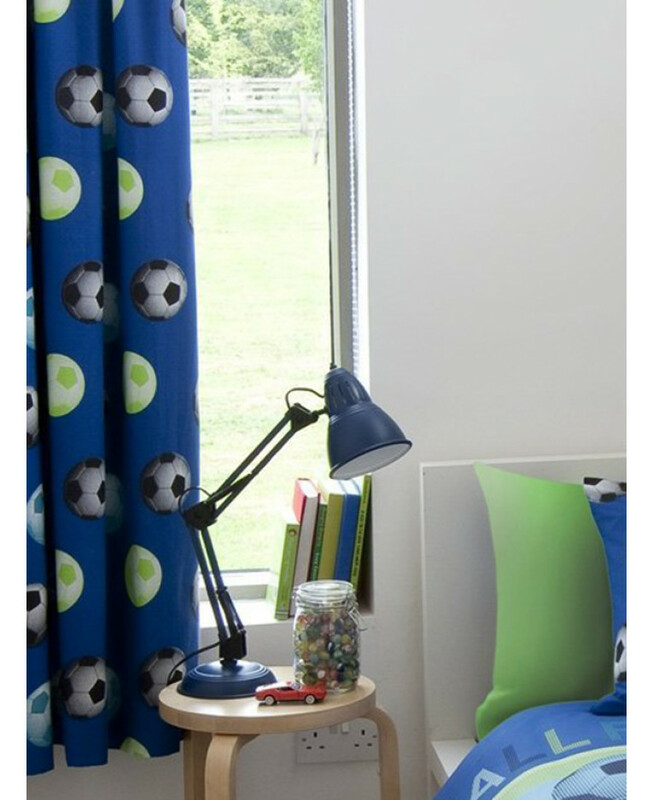 These curtains are fully lined and can be machine washed and tumble dried on a low setting.